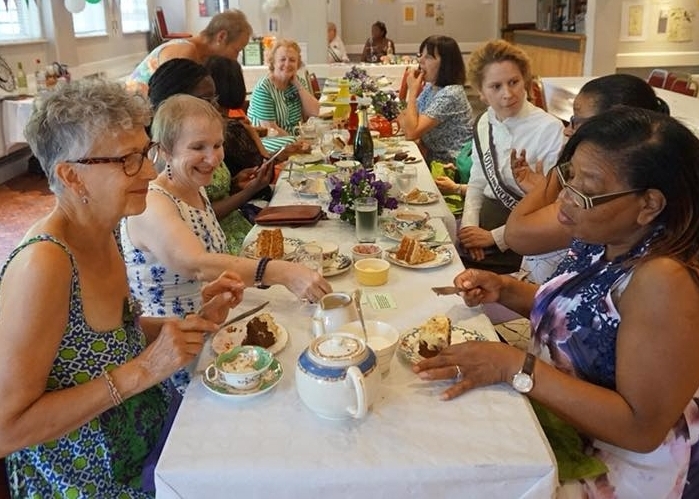 On Sunday 1 July we held an afternoon tea to celebrate one hundred years since the Representation of the People Act (1918), which granted the vote to women over the age of thirty who met a property qualification. 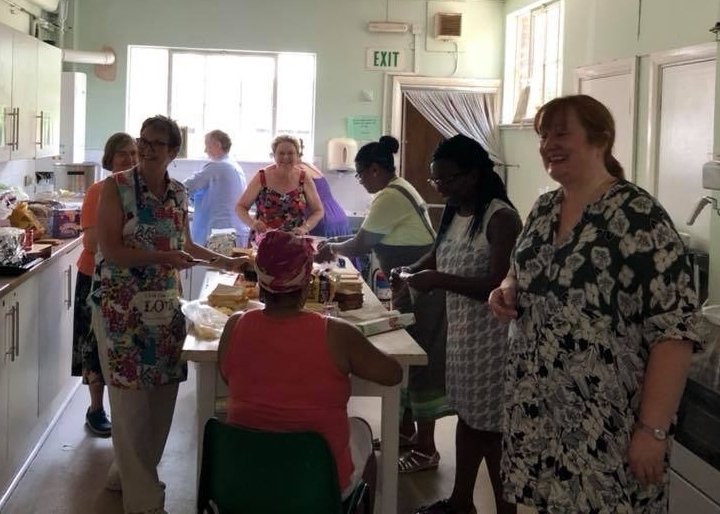 It was a delightful afternoon with members, family and friends enjoying delicious sandwiches and cakes, friendly conversations and political discussions. We were fortunate to be joined by four wonderful women who acted as table hosts, making everyone feel welcome and encouraging discussion of all kinds of women's issues. Our hosts were Hannah Aina, a community and choir leader; Bridget Prentice, who was the MP for Lewisham East from 1992–2010; Annette Smith, the Chair of Kent–West Kent Federation of Women's Institutes; and Kate Willoughby, a writer, performer, campaigner and the co-founder of Emily Matters. 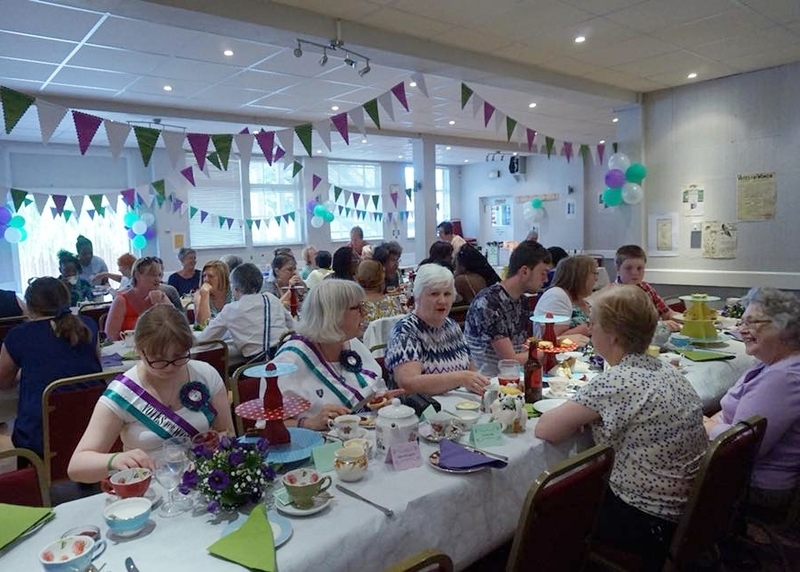 The afternoon tea would not have been possible without the help of many of our members. Led by a dedicated sub-committee, volunteers worked behind the scenes and front-of-house to make the day a great success. So thanks to our volunteers for – to name but a few of the tasks – making decorations, decorating and setting up the hall, baking cakes and making sandwiches, helping in the kitchen, serving the teas, selling raffle tickets, running a ballot and, of course, washing up and clearing away at the end of the day. Thanks also to everyone who bought a ticket , came along and made the afternoon such a fun and relaxed affair.